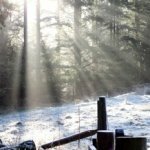 For outdoor exploration and adventure, be sure to check out one of the Lake District’s forests, including Whinlatter Park and Grizedale Forest. These areas provide great entertainment for visitors wanting to do some mountain biking, hiking, or simply take in the Lake District’s natural beauty and spot some wildlife. There are also designated adventure play areas for children, along with visitor centres that host a number of various activities. 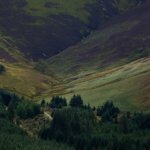 If you have children with energy to burn, a passion for mountain biking, or you simply enjoy a forest walk then Whinlatter Forest Park will certainly appeal to you. England’s only mountain forest is brimming with things to do, whether it be spotting red squirrels, attempting one of the mountain bike trails, tackling the high ropes course, or simply trying to ascend Seat How Fell. There is a large play area for children and a café. Attracting over 200,000 visitors a year Grizedale Forest presents a wealth of opportunities for exploration and adventure. Home to the last remaining indigenous herd of Red Deer in England, the forest, east of Coniston Water, features mountain biking and walking trails, a high ropes course, a felt craft workshop, and a unique collection of outdoor sculptures hidden amongst the trees.